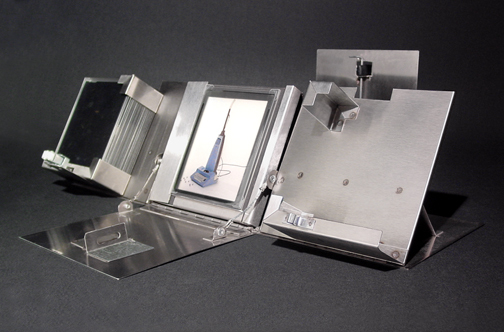 The Corona-Matic Typewriter Waffle Iron was a conceptual design piece I made for a student exhibit while attending the School of Visual Arts in 2001. I used parts of a Smith Corona Typewriter purchased at a garage sale for $5 and an old waffle iron from the thrift shop for $8. The waffles are painted plaster and the metallic-looking keyboard pattern was vacuum-formed from plastic using a mold I made using the typewriter's keys. This was a first attempt at turning one of my designs into a 3D object. At this point in time, the idea of making the Corona-Matic Typewriter Waffle Iron into a real product was non-existent. My mom, myself, and my "nice" pair of pants. I post the image online. 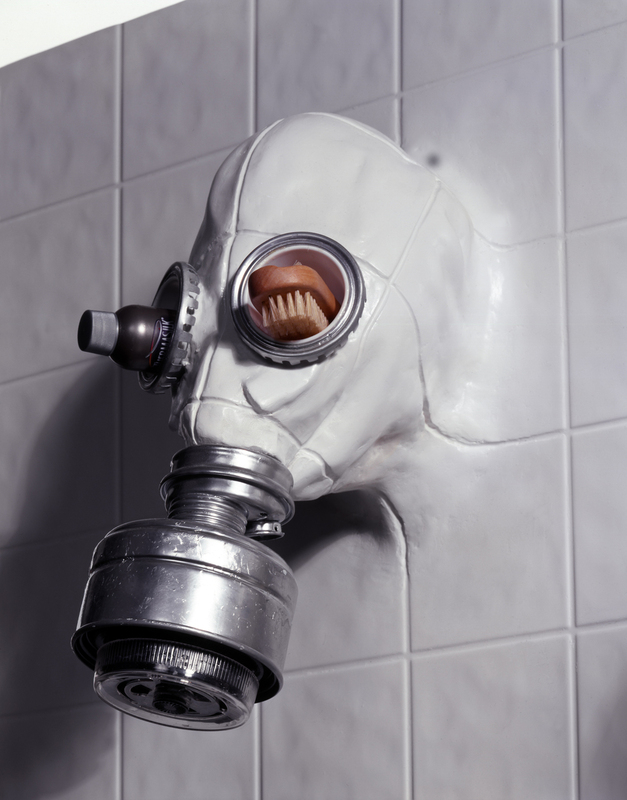 The website no longer exists, but this image along with two other concepts went viral and were picked up by countless websites, driving views up to 7,000,000 on my site in March of 2004.
little by little I realized how many people wanted this product. ...That's when I realized I have no idea how to make this into a real product. Without a working prototype Kickstarter rejected this first submission, sending us back to the drawing board. This gave me a much needed moment to rethink exactly how I wanted to develop the product. I realized I wasn't passionate about the KWI as it was. 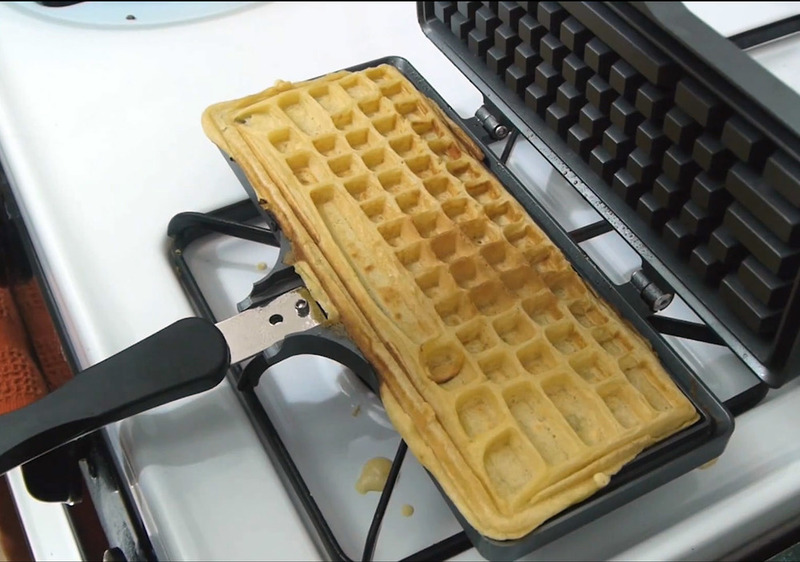 In designing around an existing waffle iron, there was nothing special about the waffles it made, and the keyboard pattern wasn't true to an actual keyboard. The old keyboard waffle pattern. The new and improved design. The following year was spent refining a brand new "waffle-out" design based around the size, pattern, and thickness of an actual computer keyboard. This was equal parts exciting and overwhelming! I met my future manufacturing partner at a trade show in NYC, and got started on the first working prototype. A few weeks later I received my KWI, tested it out, and ate the first-ever (delicious) keyboard waffle! The current version of the KWI is the result of four rounds of design and prototype variations over the course of a year, leading up to manufacturing. 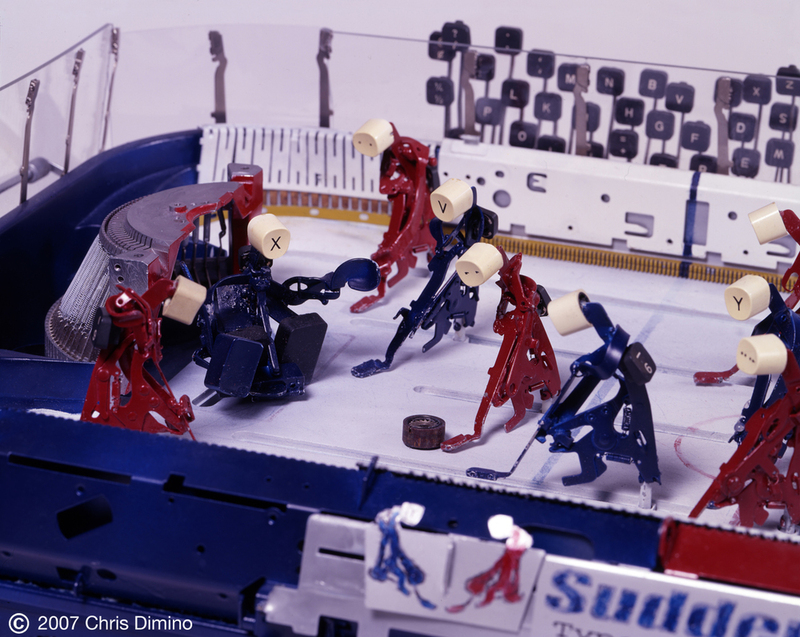 After overcoming a series of obstacles, the Kickstarter campaign was launched. 30 long (but exciting) days went by as my goal of $50,000 was exceeded and the campaign closed at $66,850. 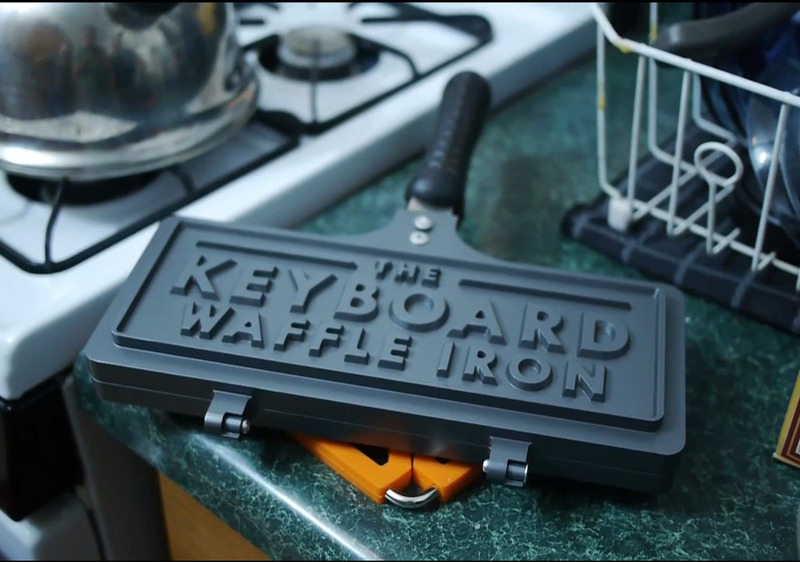 One thousand Keyboard Waffle Irons were to be made and sent to 850 backers from 35 different countries in four months. As it turned out, four months was fairly ambitious for a first time product made by a perfectionist who already had a full-time job. Half-way through the production phase, The Late Show with David Letterman ended... along with my full-time job of seven years as their Art Director. This began my transition into becoming a full-time entrepreneur. As great as that job was working for myself has been the most exciting and rewarding experience of my life. This is the name of my company. It doesn't have a website, or even a logo yet, but it represents the setting in which I come up with my ideas. In September of 2015 the first batch of KWI's were delivered to customers all over the world. They continue to sell through an expanding base of retail partners in the U.S. and Europe. 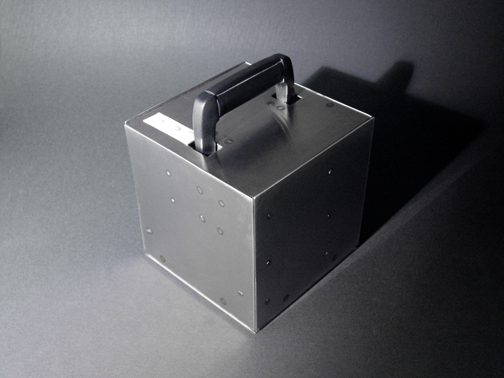 Top secret product #2 is currently on the desk and in development!